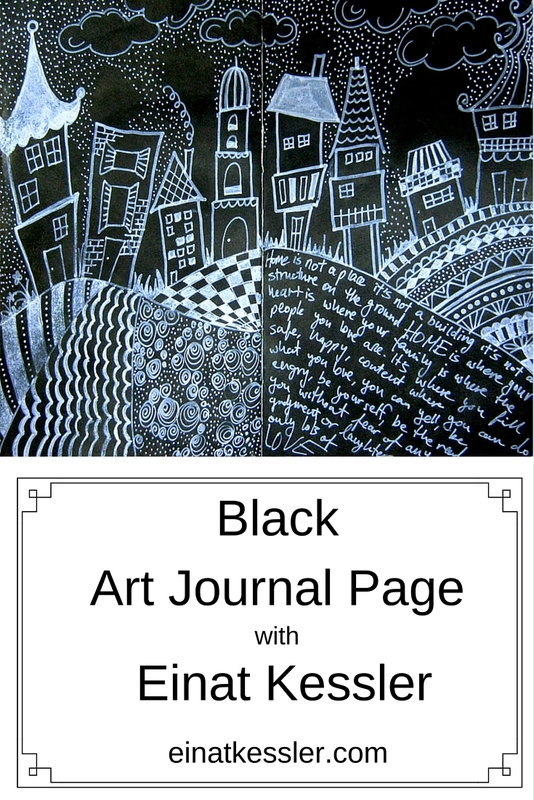 A black art journal page is something I've been wanting to do for a long time. Creating an art journal page with a black background can be counter intuitive at best or completely stupid at worst. After all black is a depressing color, there is not a lot you can add to it and it's not a really good choice for a background color. well..that's what I told myself for a long time but then I decided to challenge myself and do it! 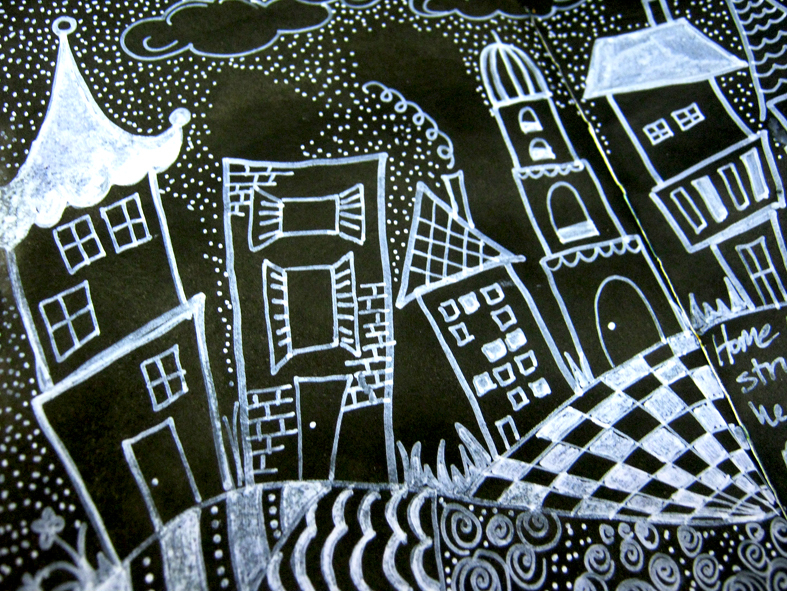 I painted a spread in my art journal using the amazing Dylusions black paint. It only took a small amount of the paint to cover the entire spread and it dried really quickly. I wanted to keep it simple so I decided to doodle on the black background with a white Sharpie pen. I really recommend trying this. A lot of you emailed me that I make doodling look so easy but it's actually is easy! You just start with something small and then add something else and you keep going until you cover the page. The striking effect you get is because of all the little shapes coming together and not fancy painting! And the most important thing to remember is that art journaling is not about being pretty it's about creating an art journal page that speaks to you! 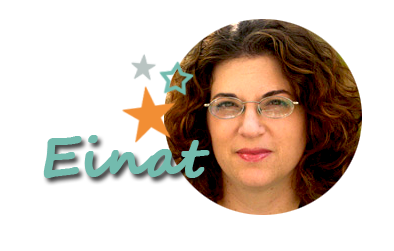 Einat- Thanks for the great video on journaling black on white. I enjoy your style and appreciate your encouragement that doodling can be easy, you just start. Thanks for sharing your art and inspiring us!